There are two narratives we’re being fed at the moment, scare stories that are essentially about how modern life is killing us. 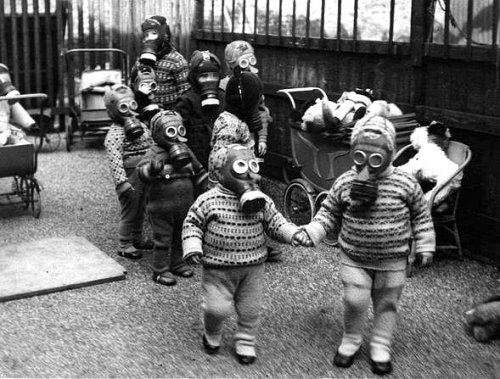 Everything we breathe, everything we eat, can either kill us or make us fat or damage our children. There’s an underlying message of nostalgia for ye olden days when food was safe and chemicals were safely confined to the periodic chart on the classroom wall. The days before Brexit and Trump and Facebook and everything going to hell in a hand cart. A study has found that the chemicals in cleaning products can cause serious lung function decline in women. And of course the effect is being compared with smoking, because everything is these days, including sugar. The phrasing is odd: ‘The effect of occupational cleaning was thus comparable to smoking somewhat less than 20 pack-years’. ‘Somewhat less’ is meaningless. Does it mean a bit less or a lot less? The effect of smelling a lovely flower is somewhat less than smoking. The hydra of chemical versus natural is rearing its ugly heads again. In this vision of the world, natural (ie unprocessed) is always better even though cancer, ricin, deadly nightshade, botulism and many more things are natural. And a chemical is a chemical whether it comes from a lab or from a plant. The cleanest mountain air or spring water are made of chemicals. The point is not whether these chemicals are harming us, it’s that the reporting is gleefully playing on our fears. At a time of national and global insecurity, people are more vulnerable to scare stories, we’re hyper-alert to yet more things that are threatening Life As We Know It. The Evil Chemicals narrative ties in with the Ultra-processed Food narrative, the other monster that is crawling out of the night to stalk us. The report the media has picked up on says that ‘a 10% increase in the proportion of ultra-processed foods in the diet was associated with significant increases of 12% in the risk of overall cancer and 11% in the risk of breast cancer’. This study is highly critical of the classifications used for ultra-processed food too. There's a significant point in Professor Sanders’ comment about bread; there's a lot of food snobbery and smuggery going on, with the foods that are identified as being mostly eaten by lower income people being demonised whereas middle class food is more 'wholesome' and 'virtuous'. The moral high ground food police probably don't count craft ale or artisan gin as highly processed and don’t seem to have noticed that even porridge made with soya milk and honey counts as 'ultra-processed'. The smugness is about doing things more simply or more traditionally, buying food that doesn’t come in packaging. Yes, plastics are destroying the environment but food packaging extends the shelf life of products, causing less wastage and less environmental harm from producing (even) more than we need. It’s also a great boon to people too busy to shop for fresh produce and ingredients every day. It’s a complex problem not solved by ill-informed moralising or nostalgia. Toxins (aka chemicals) have taken the place of diphtheria, polio and smallpox as the Invisible Evil (and plague if you go back further). But never fear, you can buy a detox from a wellness guru because your fear is their marketing opportunity. 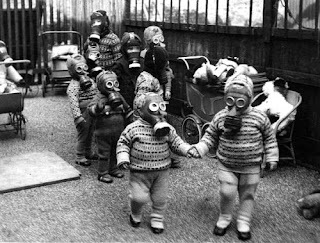 It's not like things were any better in ye olden days when people breathed in coal or wood smoke or smog, and lots more people smoked. Sitting around in the cave or wooden houses before chimneys were invented during the long winters didn’t just make people smell like kippers, it caused serious lung damage. Employment was much more lung-unfriendly too - mining, dyeing and tanning, the cloth industry or industrial scale laundries just to name a few. Has there ever been a time in human history when our lungs were pink and flawless since we first learnt to make fire? It’s not modern life that’s killing us, being alive has always been dangerous. We just have more media to scare us about it now. In ye olden days food was full of germs and poo and parasites as well as adulterants – for example alum, plaster of Paris and ash in bread. In 1872, adulterants in food were found to include ‘strychnine, cocculus inculus (both hallucinogens) and copperas in rum and beer; sulphate of copper in pickles, bottled fruit, wine, and preserves; lead chromate in mustard and snuff; sulphate of iron in tea and beer; ferric ferrocynanide, lime sulphate, and turmeric in chinese tea; copper carbonate, lead sulphate, bisulphate of mercury, and Venetian lead in sugar confectionery and chocolate; lead in wine and cider; all were extensively used and were accumulative in effect, resulting, over a long period, in chronic gastritis, and, indeed, often fatal food poisoning. Red lead gave Gloucester cheese its 'healthy' red hue.’ Ice cream was found to contain ‘cocci, bacilli, torulae, cotton fiber, lice, bed bugs, bug's legs, fleas, straw, human hair, and cat and dog hair’. Yum. So much for hipster nostalgia. Of course we need to avoid harm where we can but we need to separate real harm from hysteria, conspiracy theories and marketing opportunities. Headlines about city air being as bad as smoking don’t help. We’re never going to live some bucolic idyll in the Shires like hobbits. Fear and guilt make for good headlines and clickbait but things are not getting worse. They’ve always been bad. The history of humanity is about processing, ingesting and inhaling stuff that's bad for us. Sometimes for fun. "We’re never going to live some bucolic idyll in the Shires like hobbits." - I live in the Shire and occasionally wish I was somewhere like Camden, just for the change, and for the greater access to a variety of people and experiences. I am sure there are many people who would wish the opposite; to escape the crush and seek a quieter pace of life. I see the media position is usually directed at city dwellers (London, not Stoke or Market Hobbiton) because that is the larger market for their stories. We rarely see stories about the horrors of living close to large flocks of sheep and the parasites one might catch from them; Those are real dangers, but not nearly as exciting as made up dangers, like catching autism from vaccines. 'Hipsters' are generally city dwellers by choice, who have a vague notion of 'life in the sticks' as being superior and idyllic. They often seek to move to somewhere to commute from so they can occupy both worlds; knitting their own craft beers from upcycled piss and telling as many people as possible at dinner parties in order to impress their Hipster cred.